Everyone makes mistakes; it’s inevitable. 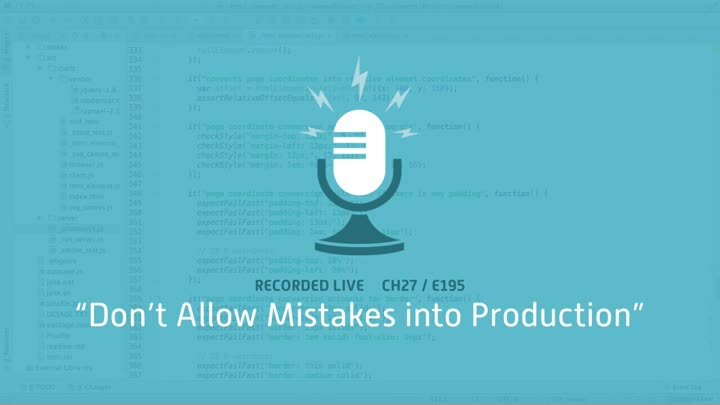 The point of writing our code to fail fast is to make sure those mistakes don’t make it into production. In this episode, we make pageOffset() fail fast and clean up our tests. Now adding the wrong CSS will cause our smoke test to fail, preventing us from releasing broken code. That finishes the chapter.